ARES PRISM is an enterprise project controls software that manages the complete project lifecycle delivering dependable forecasts, cost control, and performance measurement. PRISM is a scalable, robust and intuitive system that harnesses industry best practices and integrates all aspects of the project, including cost and schedule, change management, project estimating, earned value, contracts & procurement, and field progressing. Achieve superior project management with increased visibility and control, boosted accuracy and efficiency, and improved financial performance. Procore Technologies, Inc, is a leading provider of cloud-based applications for Construction. Procore Construction OS connects people, applications, and devices through a unified platform to help construction firms manage risk and build quality projects, safely, on time, and within budget. Procore has a diversified business model with products for Construction Project Management, Construction Financials, and Quality & Safety, and has more than 2 million users managing billions of dollars in annual construction volume. EcoSys Enterprise Project Performance software from Hexagon PPM empowers informed portfolio, project, and contract decisions to maximize returns and margins. 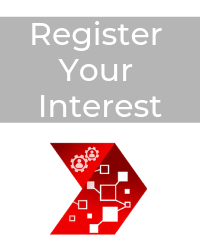 Hexagon's PPM division is the world's leading provider of asset life cycle solutions for design, construction, and operation of industrial facilities. By transforming unstructured information into a smart digital asset, our clients are empowered to visualize, build, and manage structures and facilities of all complexities, ensuring safe and efficient operation throughout the entire life cycle. PlanGrid is construction productivity software used on more than 500,000 projects around the world. It allows teams to collaborate effectively with access to an intelligent record set on any device, streamlining construction, turnover and operations. PlanGrid increases team productivity by streamlining document management and control, providing collaborators with easy access to all project information from any device, and enabling seamless collaboration. This leads to building the most comprehensive record set for the entire construction and operations lifecycle and consistently delivering on time and on budget. 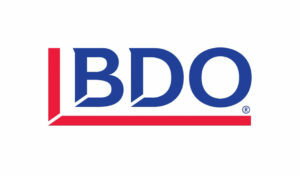 BDO is the world’s 5th largest public accounting and advisory services firm with over 80,000 employees in 162 countries. BDO’s Project Controls practice helps our clients face the challenge of managing complex projects with tight schedules and budget constraints. Often they are within highly regulated industries such as natural resources, construction, aerospace and defense. We implement and support systems that improve major capital project performance by utilizing enhanced cost, schedule, and risk management solutions.